This may seem like déjà vu. And not in that Twilight Zone, eerie kind way. In the jump for joy, we can’t thank you enough kind of way. 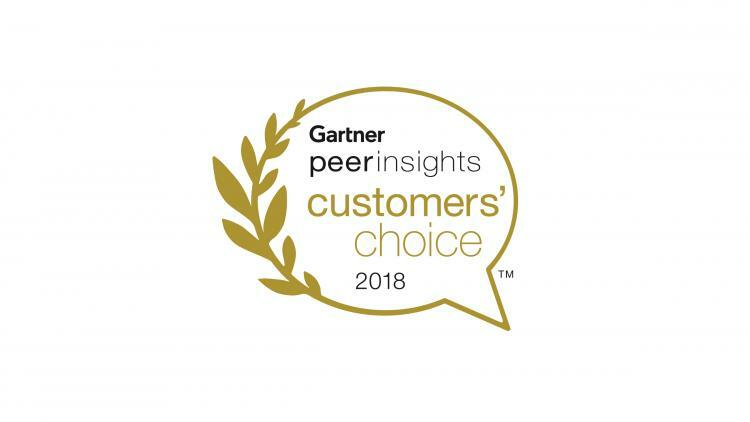 As you may recall, Gartner Peer Insights recognized Jamf as a Gartner Peer Insights Customers’ Choice for Enterprise Mobility Management Suites in February. Well, we’re humbled to announce that Jamf users have once again spoken and shared why Jamf is one of the client management providers they choose and trust. Because of your reviews, Gartner Peer Insights recognized Jamf as a 2018 Gartner Peer Insights Customers’ Choice for Client Management Tools. With a 4.6 out of 5 rating* in the client management space based on 111 reviews as of May 14, 2018, we believe that our 96 percent customer retention rate has carried over with the Gartner Peer Insights crowd, and we couldn’t be prouder. Read the Gartner Peer Insight reviews and cast your own. Success will never go to our head. Our promise to you is that we will continue to do our best to empower you and your users by hosting an active, online forum where IT professionals can learn from one another, offering zero-day support with every Apple release, bringing thousands of Apple IT admins together at the annual Jamf Nation User Conference (JNUC) and so much more. We are incredibly honored by this distinction and will continue to provide helpful resources that make it easy to succeed with Apple; building strategic partnerships in enterprise and education spaces, and expanding our marketplace footprint to showcase incredible products from the community. If you're not a customer yet, see what you’re missing with a free test drive of a decorated Apple management solution. ** The Gartner Peer Insights Customers’ Choice Logo is a trademark and service mark of Gartner, Inc., and/or its affiliates, and is used herein with permission. All rights reserved. Gartner Peer Insights Customers’ Choice distinctions are determined by the subjective opinions of individual end-user customers based on their own experiences, the number of published reviews on Gartner Peer Insights and overall ratings for a given vendor in the market, as further described here and are not intended in any way to represent the views of Gartner or its affiliates.